The top spot in the Big Twelve Conference is on the line as two long-time rivals meet in Week 6 of high school football on Friday night. Normal Community (4-1, 4-0 Big Twelve) visits Bloomington (4-1, 3-1) in the featured game of the WJBC Friday Night High School Football Extravaganza. The host Purple Raiders are coming off of a 47-12 win over Urbana on Saturday afternoon, a day after the visiting Ironmen defeated Manual 48-14 in Peoria. Bloomington coach Scott Godfrey knows the Ironmen are led by a solid quarterback in Daylen Boddie. Normal Community coach Jason Drengwitz agrees that the game should contain a lot of energy, on and off the field. 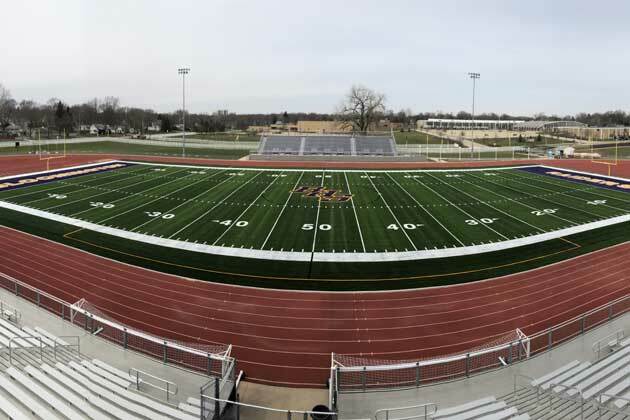 The Extravaganza will also feature coverage of Normal West (4-1, 4-1 Big Twelve) in non-conference play at Hampshire (0-5), Central Catholic (0-5) at St. Thomas More (3-2), Springfield Southeast (1-4) at U-High (1-4), Tri-Valley (3-2, 2-0 Heart of Illinois Large) at Gibson City-Melvin-Sibley (5-0, 2-0) for the conference lead and Fieldcrest (2-3, 0-2 HOIC Large) at Deer Creek-Mackinaw (3-2, 0-2). 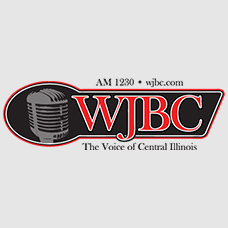 The Extravaganza begins at 6:10 p.m. on AM 1230 WJBC with scene-setters, around-the-horn updates from all games every quarter hour and post-game interviews and analysis until 11 p.m. Scores and more can also be found on the WJBC Sports Twitter feed (@SportsWJBC).